Judith inherited all the Kratt family had to offer -- the pie safe, the copper clock, the murder that no one talked about. She's presided over the house quite well, thank you very much, admittedly with some help from her companion, Olva. But her wayward younger sister suddenly returns home after decades, sparking an inventory of all that belongs to them. Set in the hard-luck cotton town of Bound, South Carolina -- which the Kratts used to rule but which now struggles to contain its worst instincts -- the new household overflows with memories. 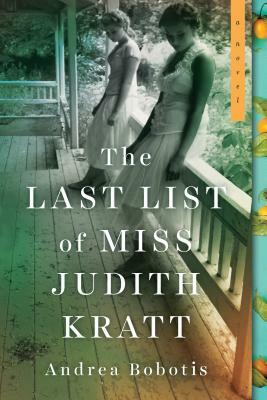 Interweaving the present with chilling flashbacks from one fateful evening in 1929, Judith pieces together a list of what matters. Untangling the legacy of the family misfortunes will require help from every one of them, no matter how tight their bond, how long they've called Bound home, or what they own.